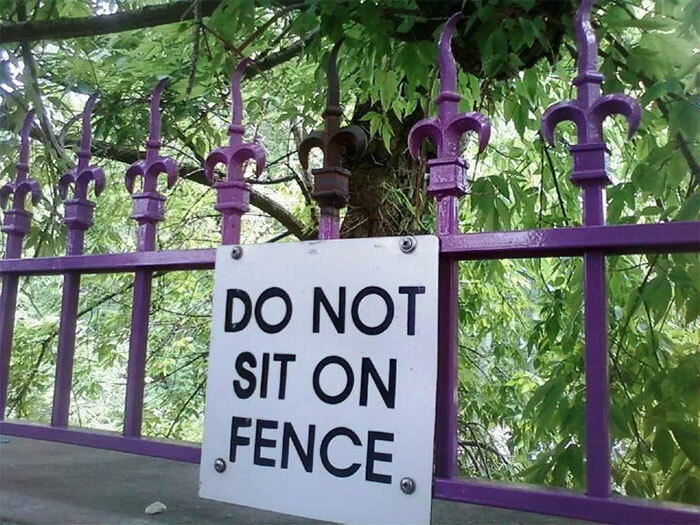 Have you ever come across a sign that’s so obvious it’s painful? 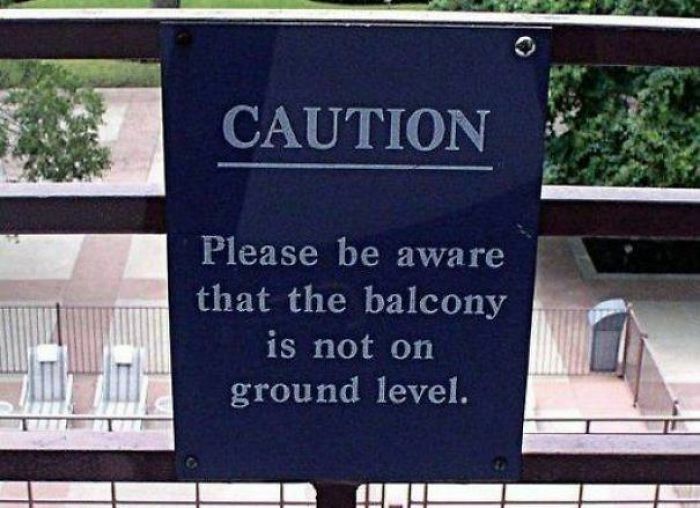 When you see signs like that, you have to wonder why they were put up in the first place. 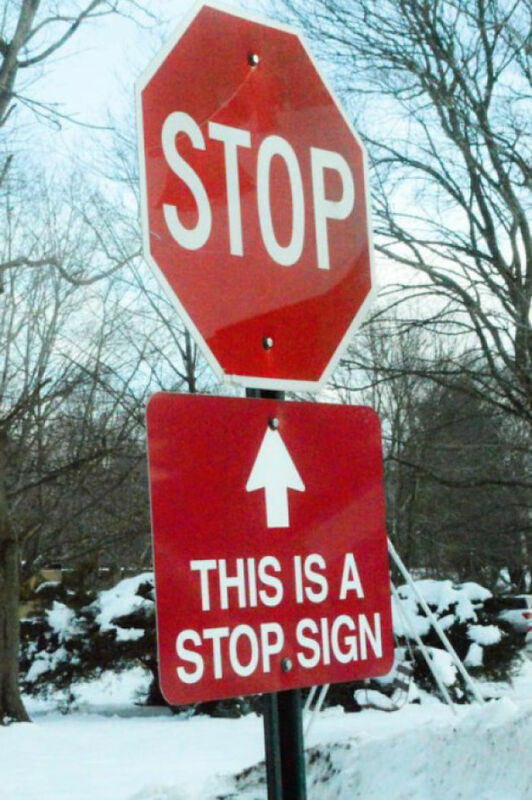 These pictures will have you guessing why an obvious sign needs to exist. Sit back, relax, and enjoy these pictures that might make you laugh or cringe. 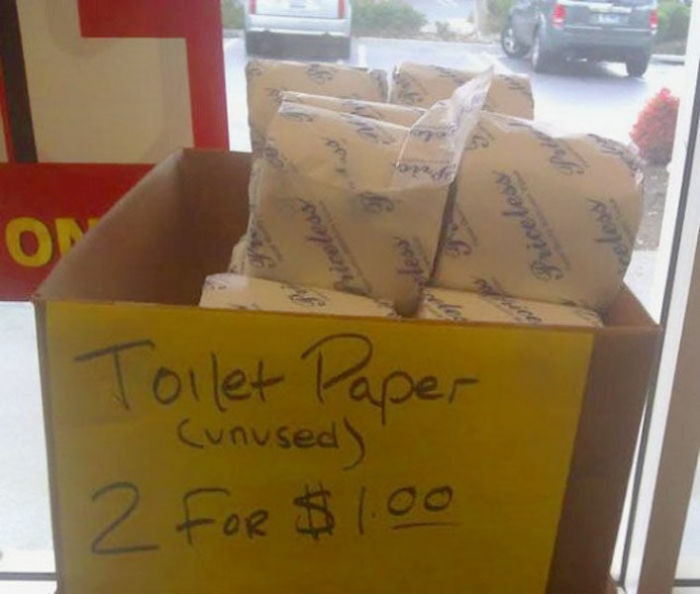 So, how much does used toilet paper cost? This unused toilet paper is already expensive enough. This is nuts. 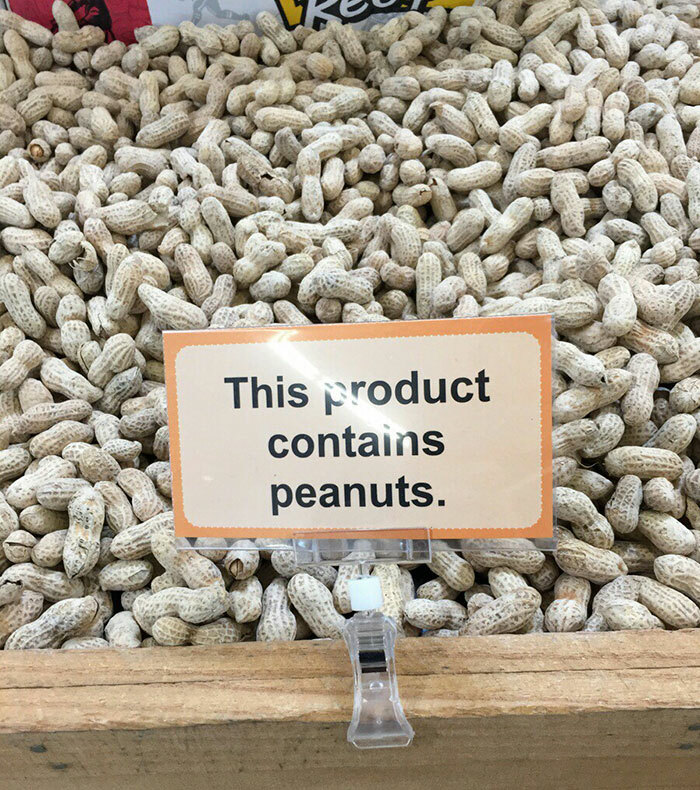 If it’s a peanut, it obviously contains peanuts. 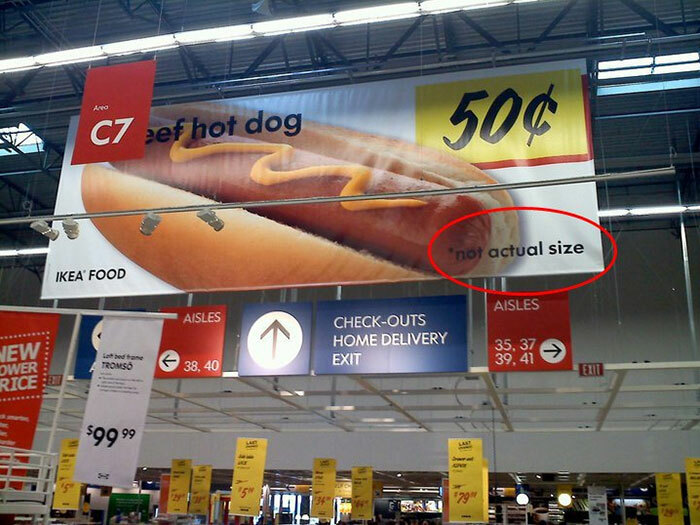 Unrealistic hot dog expectations are ruining the industry. But for real, how great would it be to have a hot dog that size for only 50 cents? Very evident. It would of been nice for them to include an opening time. Clearly. If you’re close enough to read that sign, you can feel that the fire is hot. When can we get something made on Mars? 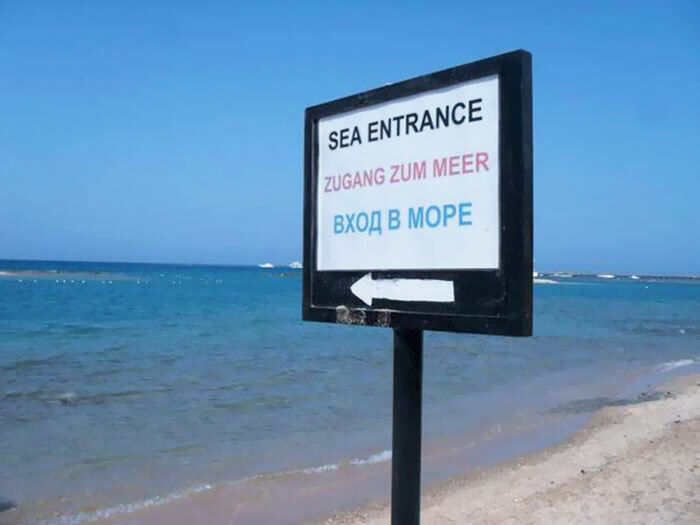 If the owner of the sign is going to be obvious like that, at least include on the sign that fishes are the exception. People will get the point sooner or later. It’s really depressing that they even had to put this up. Come on, people. You’re smarter than that. 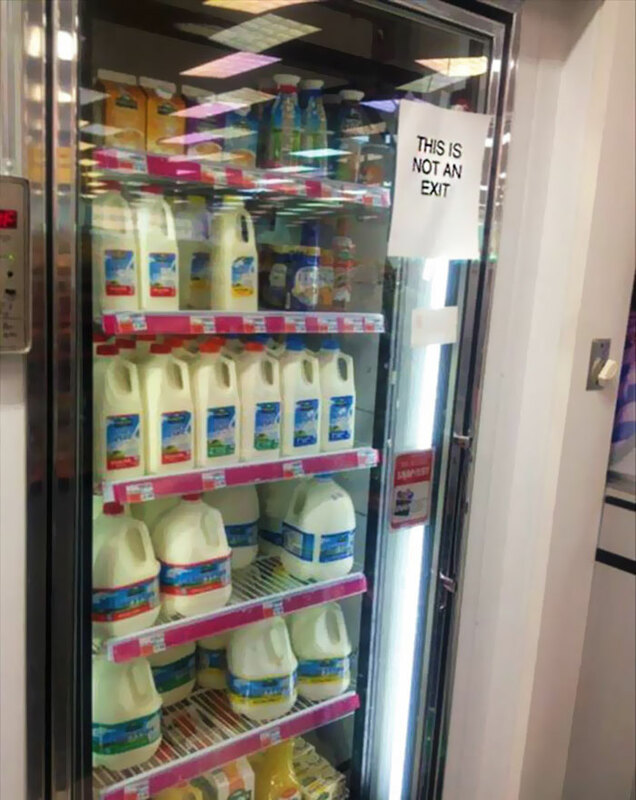 Some person thought a store refrigerator with milk in it was an exit. You read that right. 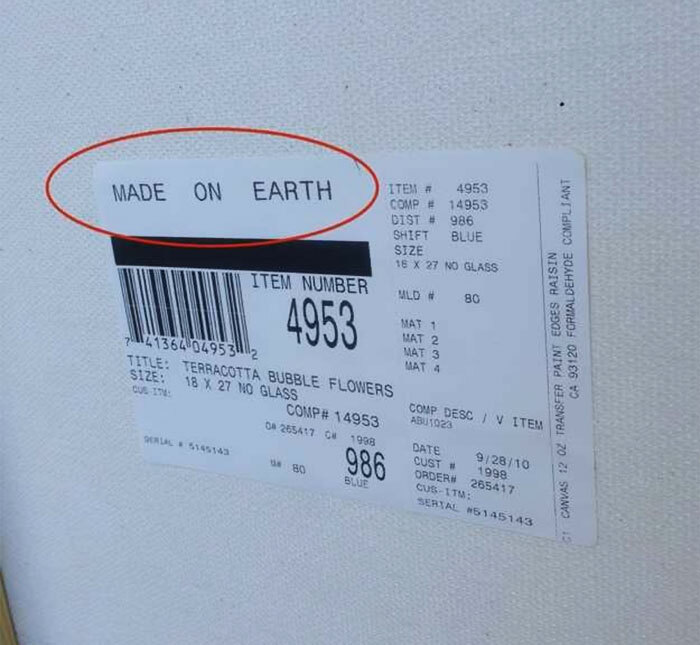 I would’ve never guessed. 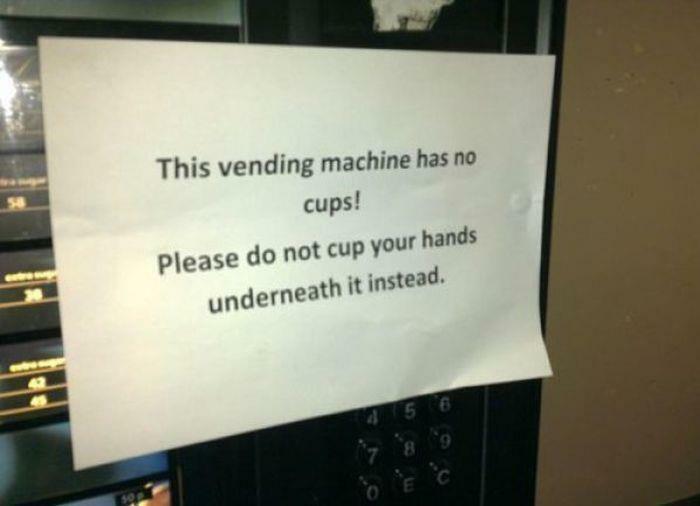 Thanks for the warning? This is sad. 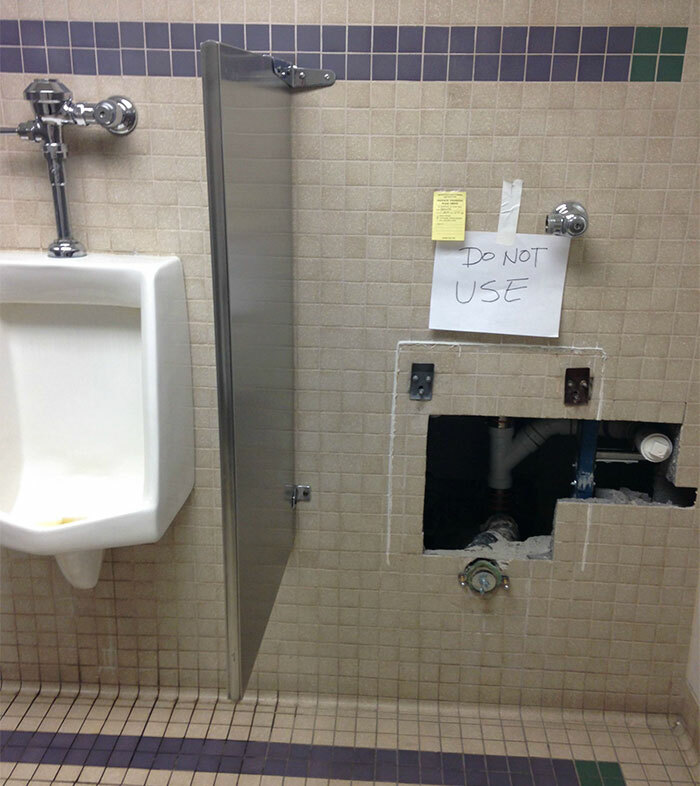 Someone will probably use the restroom on that even with the sign. Oh dang it. I wanted there to be dry rain. 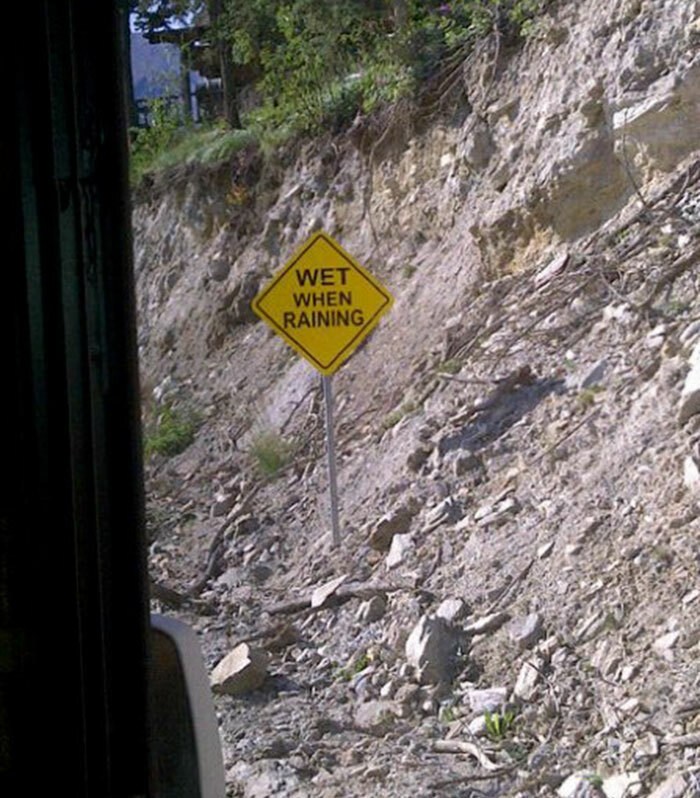 Back to the point: all this sign is saying is that the ground is dry when it’s dry. Maybe this sign is for ghosts. Maybe for burglars. 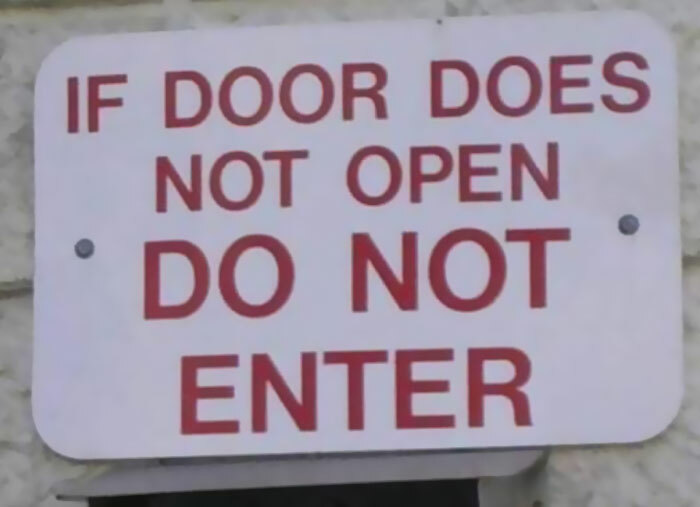 All I know is that most people can’t physically enter a locked door. 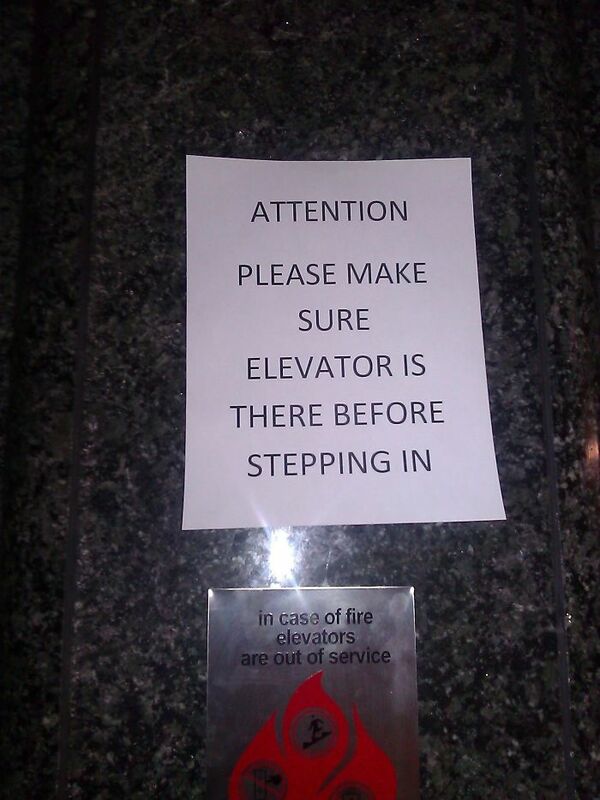 It’s kind of scary that they have to warn people that the elevator won’t be there.. 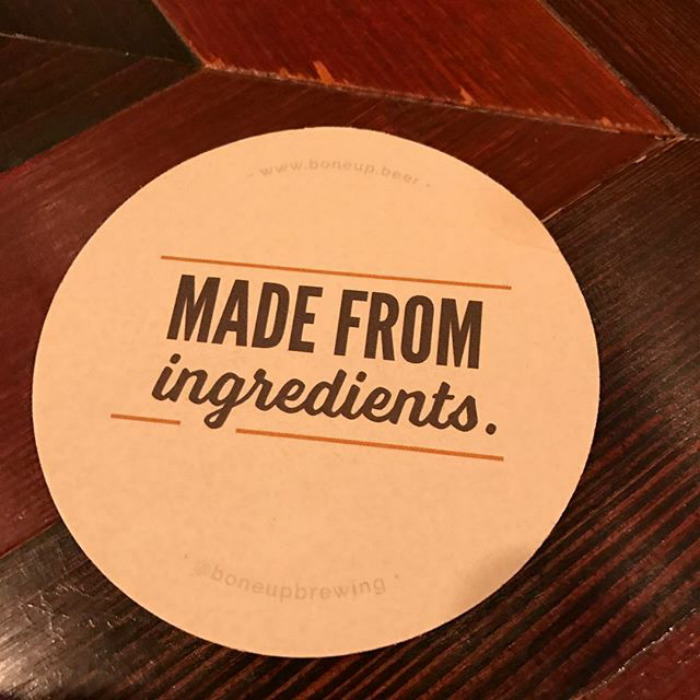 When you don’t want to be honest about the inorganic ingredients in your food. 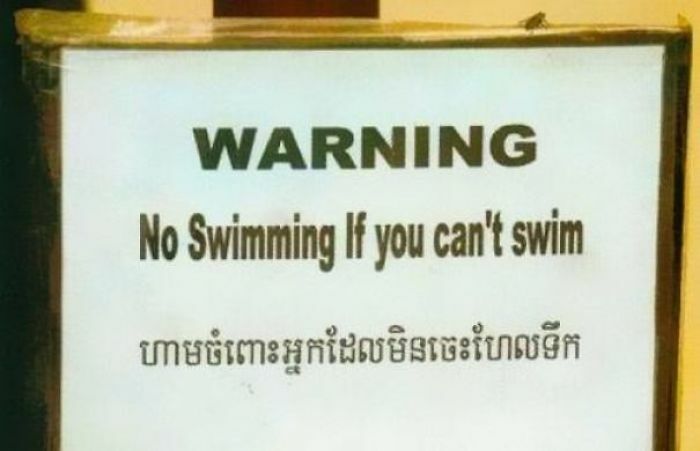 No swimming? 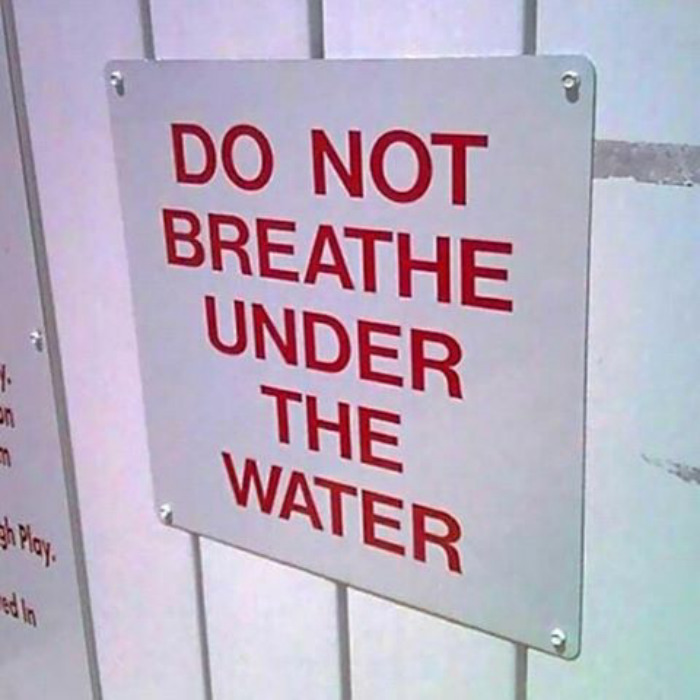 I guess you’ll just have to walk on water instead. Where is Jesus at a time like this? 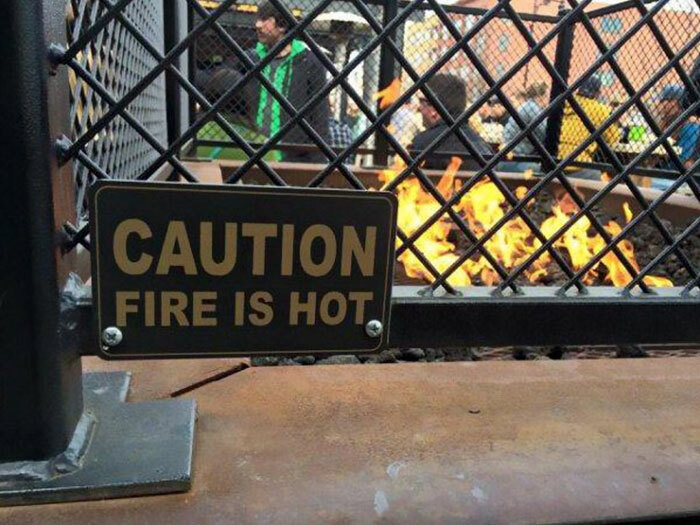 This sign might not be needed because it’s so crystal clear, but it’s a great way to warn people about getting burned. 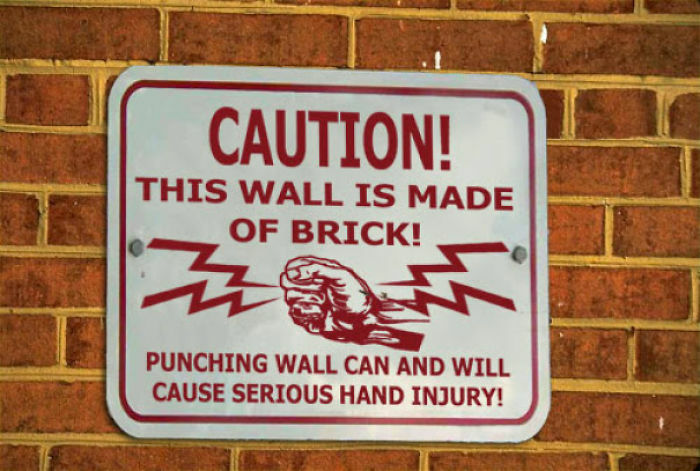 Hmm… I have to wonder many people punched the wall before they had to put a sign up. 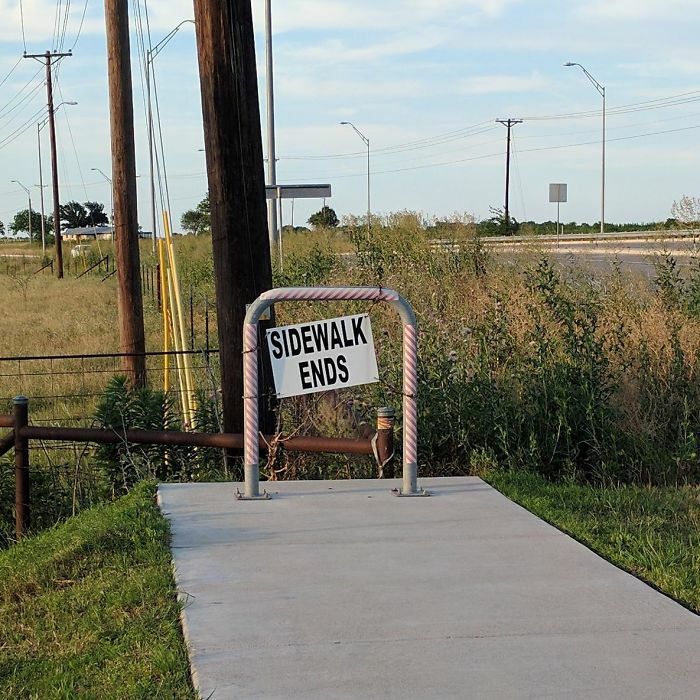 The sidewalk ends right there? I would’ve never guessed. 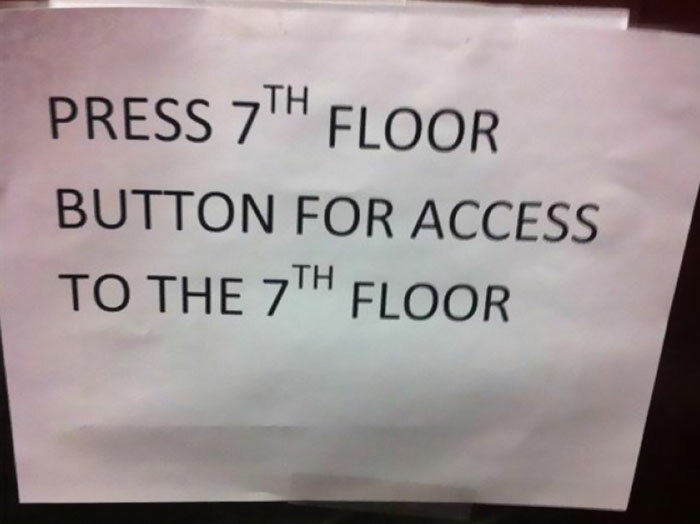 To be fair, it’s a good sign for blind people who need some assistance. As if it wasn’t obvious enough already. At least it seems like a good way to grab people’s attention. 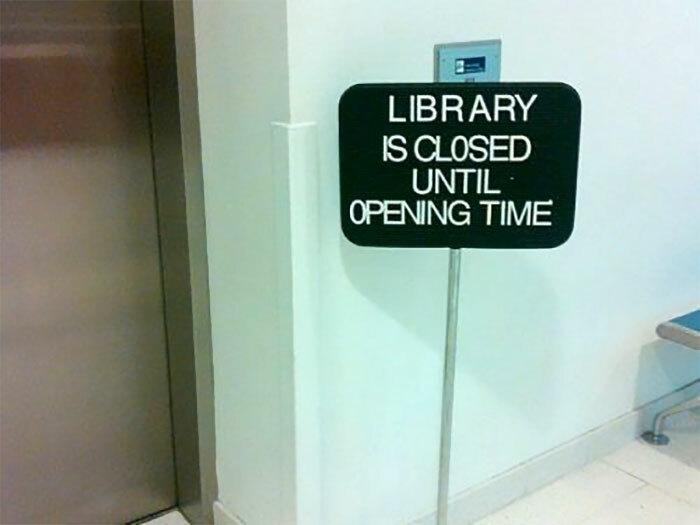 This sign is too obvious but it’s a funny. 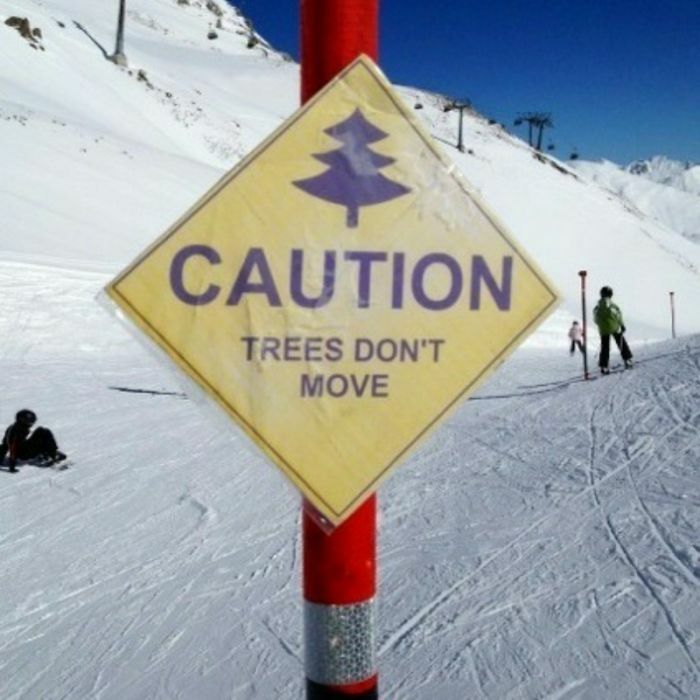 It’s a clever way of saying they have seen a lot of ski accidents involving trees. 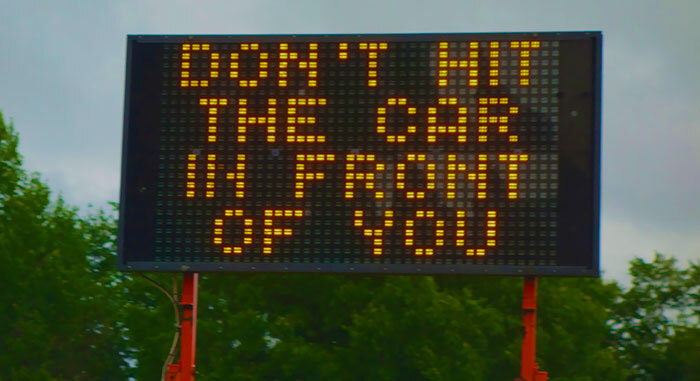 Maybe try a sign that tells you how to not hit a car in front of you. Something like don’t text and drive. Do some people think that’s a small mountain? Who knows. 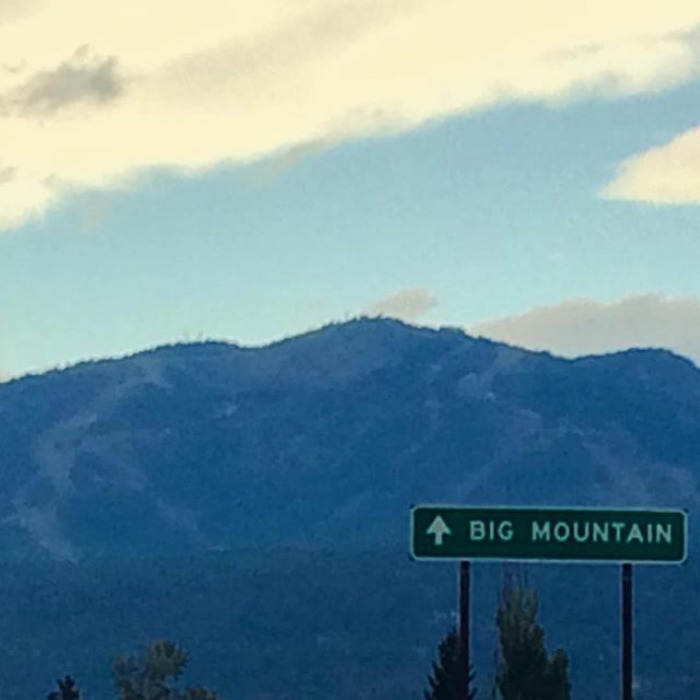 Thanks to this sign, it’s obvious enough that it’s a large mountain.